This might be one of the hardest blog posts I’ve written. I looked forward to recapping my trip to Boston and the marathon excitement, but as we all know the exciting events of the morning quickly turned sad. At the same time, I don’t want the person who tried to dampen the marathon spirit to completely win. I want to share the wonderful parts with everyone because the Boston Marathon truly is an amazing and inspirational race, unlike any other I’ve seen. I’m going to share the happy events of the day in this post as a tribute to Boston and those who were affected by the explosions. My thoughts and prayers are with them. 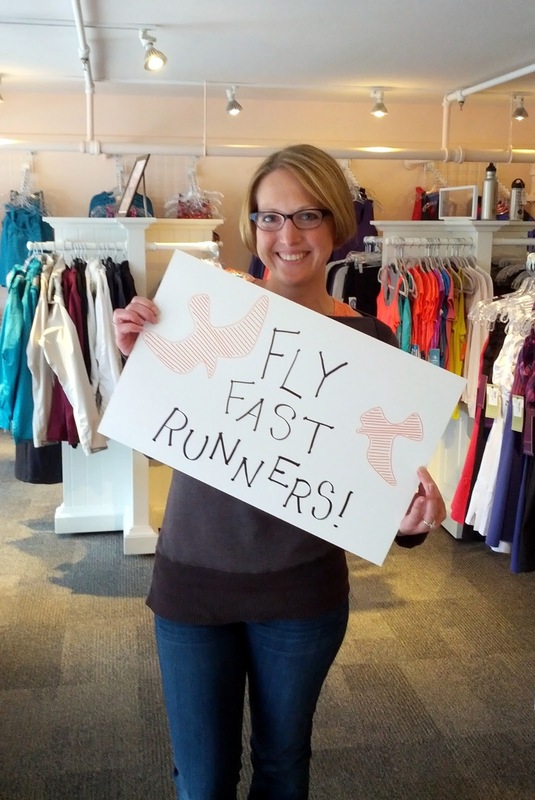 The day before the race, my friend Ann (who I was visiting in Boston) and I headed out to Wellesley to Getti Gear, the Oiselle race headquarters and cheer station. We had a fun time meeting Oiselle Team ladies, making marathon signs, and chatting about the excitement of the weekend. 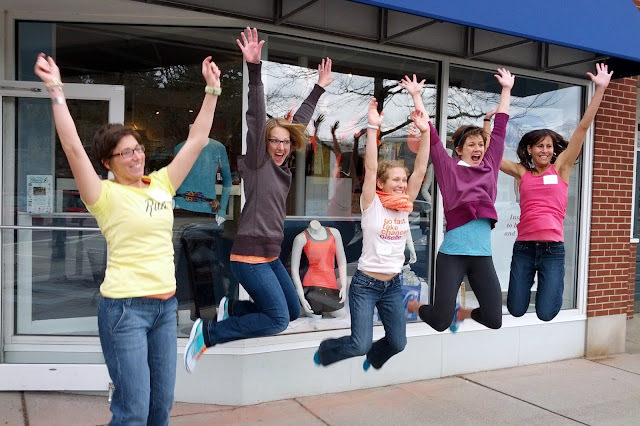 Getti Gear was a really cute store, if I lived nearby I’d want to hang out with their run groups! Ann, Alisyn and I intended to go back to Wellesley to cheer with the Oiselle cheer station, but unfortunately we realized late Sunday evening that we wouldn’t be able to make it there and back via the train (silly train schedule) in time to see Alisyn’s fiancé Matt at the finish. 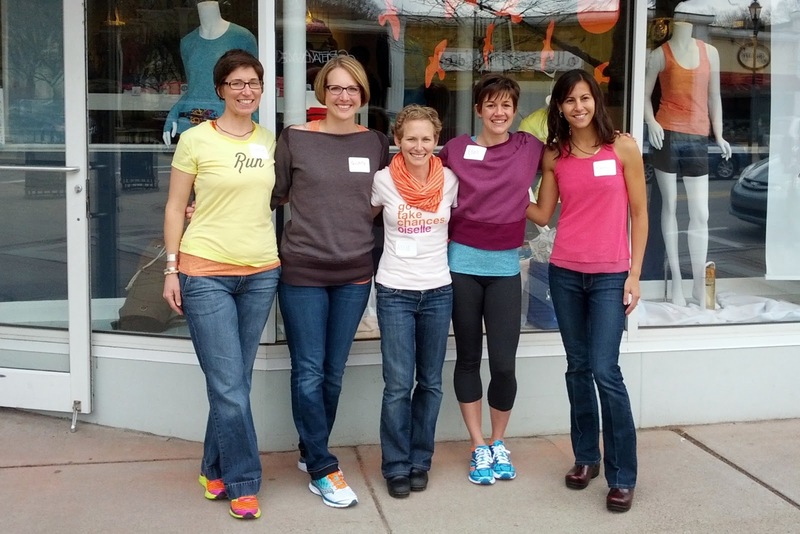 Oiselle Team ladies - Rebecca, me, Allie, Ellen, and Meghan. 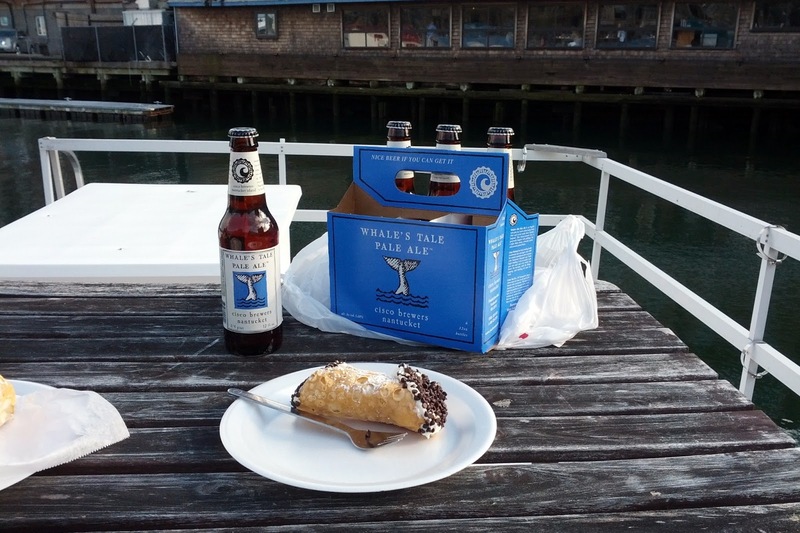 After the sign making party, we visited the aquarium and spent the afternoon enjoying cannoli from Mike’s Pastries and beer on the deck of Alisyn’s rental houseboat. So relaxing. 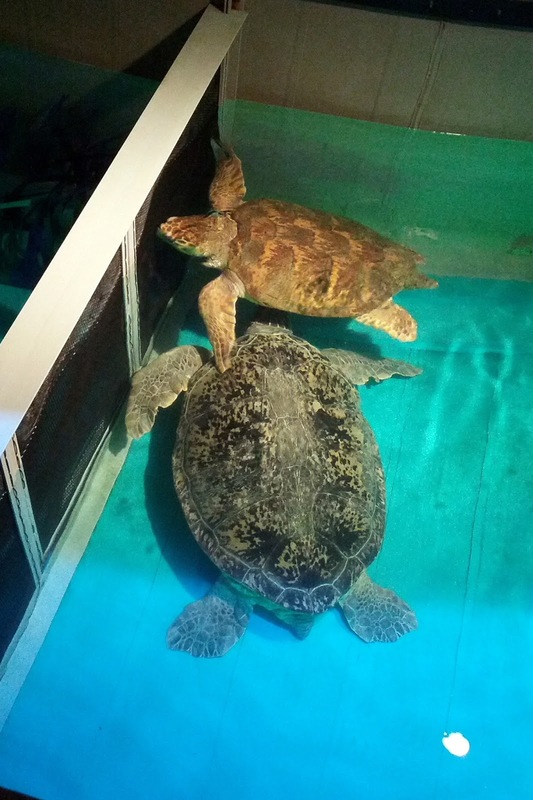 Really, really big turtle at the aquarium. Early Monday morning we headed out to mile 17 to stake a claim on a cheer spot; we were successful but had to hold our ground a bit so people didn’t jump in front of us. I’ve never seen such an excited marathon crowd! From what I saw throughout the day, the majority of the course was lined with people, multiple rows deep, as you got closer to the finish line. We watched and cheered for the hand cycles, the Wounded Warrior Project military, and the elites as they went by. 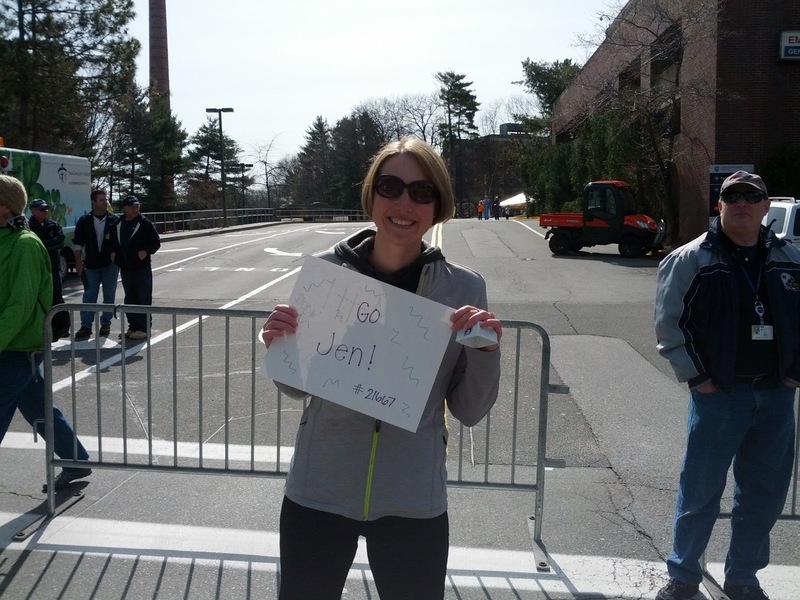 Shortly after the crowd of runners became much thicker and we yelled our hearts out as they went by. Oh, and rang the cowbell of course. 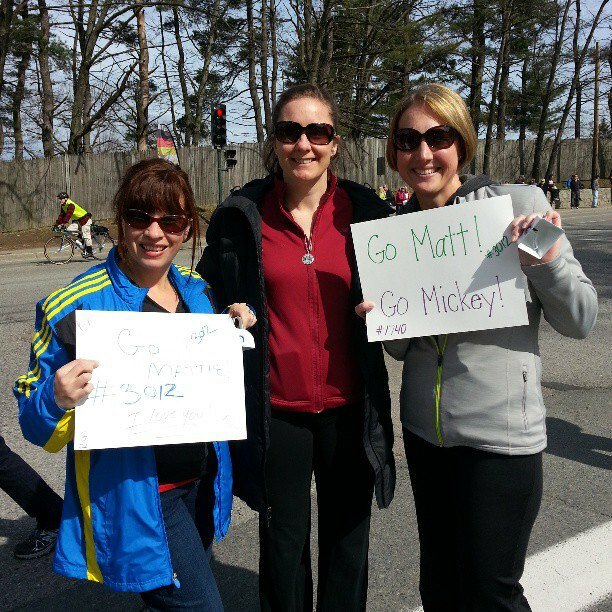 I had a sign for Matt and my friend Mickey and we managed to see both of them, whoo hoo! Lead woman at mile 17. Shalane speeding by with the women's pack. Alisyn and Ann with the cowbells. Go Matt and Mickey - we saw them both! Shortly after they passed we headed to the finish area via the T. Ann helped Alisyn navigate to the family meeting area to meet Matt and then we started back toward Brookline to cheer there. The finish area was incredibly crowded and it took a while to get through, reinforcing our decision to go back to Brookline instead of sticking around like we had considered. We made a stop along the way to look for my friends and Oiselle birds that would be coming through around that time, and I was pumped to see Meghan, Allie, and Ellen go by. Later we continued to mile 23 and found a new cheer spot, also finding and cheering for my friend Jen (even though she didn’t see us.) We stayed and cheered for quite some time until we realized we hadn’t eaten since breakfast and it was 3 pm. Lots of runners were still going by but we went to grab some pizza a block or so away from Beacon Street. Jen, here's your sign a little late since you missed it! Anyway, as soon as we sat down to have pizza I started getting text messages, calls, Tweets, and FB updates about the explosion at the finish line. The runners we had just cheered for were either at the finish during the explosion or didn’t even get there. We were a few miles away but the mood in the pizza place became tense and scared. We stayed there for a long time, until everything was cleared, because we had to cross the course to get back to Ann’s apartment. We checked in with everyone we knew who had been running or in the area, fearing the worst and hoping for the best. We finally found everyone we knew to be ok, but of course still worried about all of the runners and spectators at the finish line. All of the businesses along the course were immediately closed down, and the streets became empty. 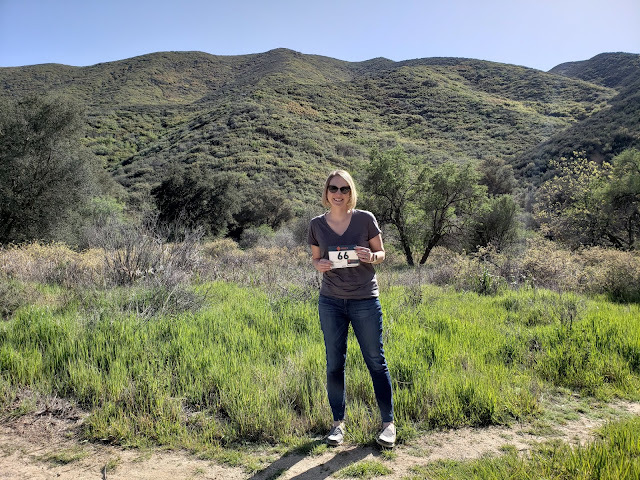 Even when we went to find dinner a few hours later, there were cups and boxes from the nearby aid station lying astray by the road and medical and mile signs remaining. Most of the businesses didn’t open again for the evening and the ones that did only opened the bar for drinks. It was eerie, like everyone had just disappeared. I can’t say anything about the scene at the actual finish because I wasn’t there, but Boston in general was sad and nothing felt right. One thing is for sure: experiencing the race and the tightness of the Boston community in tragedy has made me want to run the Boston Marathon more than ever. I realize I’m nowhere near qualifying and realistically might not ever be, but after this weekend I’m ok with that. I want to support and be part of the history of this great race. Next year I’ll be attempting to get a spot on a charity team, and I’ll keep trying every year until I do. To all of you who contacted me to check in, I truly appreciate it and feel very lucky to have such great friends and to be part of this amazing running community. Thank you. Thank you for sharing - I was thinking about you and your friends out there on Monday. So glad you are all ok. I am really glad you shared this. Thank you so much for this post! As sad as it was, this year's Boston Marathon was still an incredible race. Seeing your photos of the elite women is so inspiring. I have no doubt your signs and cheers elevated thousands of runners, and they are still tapping into the positive energy you put into the universe to help them recover from this tragedy. Whether we're running or cheering, together we are more powerful than any bomb! It was a terrible thing that happened. It may have left an ugly mark, but it can never conquer the strength of the human spirit. Glad that you and your friends are okay. For what it's worth, when I ran a few years ago, I did see people being asked to show their bibs, and when they didn't have them, getting pulled out of the corrals. Of course, it's easy to get around that by just starting a bit down the road. What a cool trip Paulette. I'm so glad you were safe, and so was everyone else you were there to support and traveling with. I can only imagine how cool it would be to experience the race, and then have the emotional aspect swing in the total opposite direction. Great post, paulette. glad you're ok!